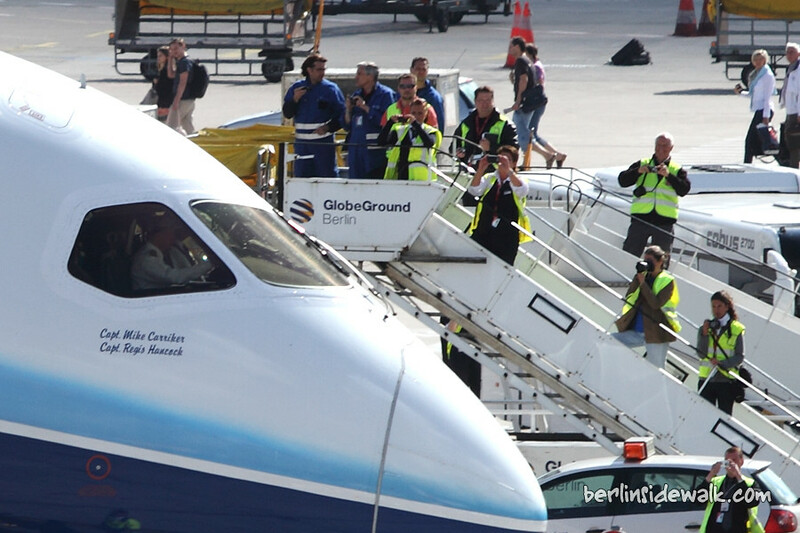 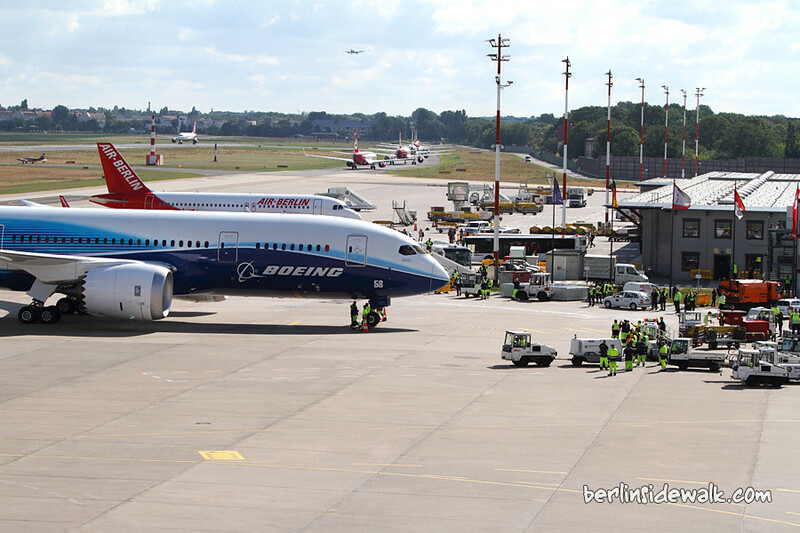 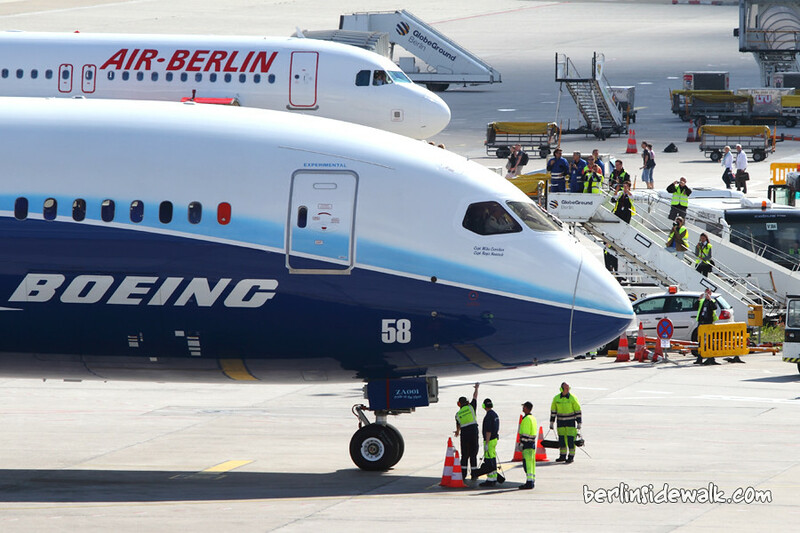 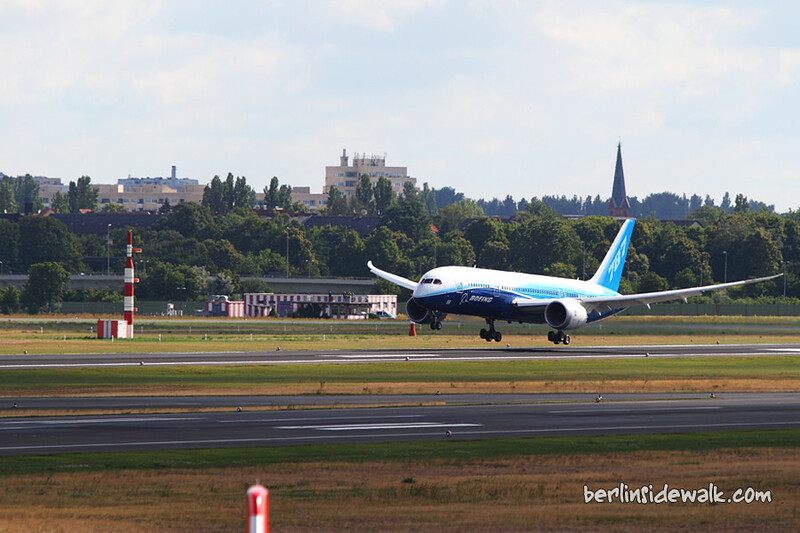 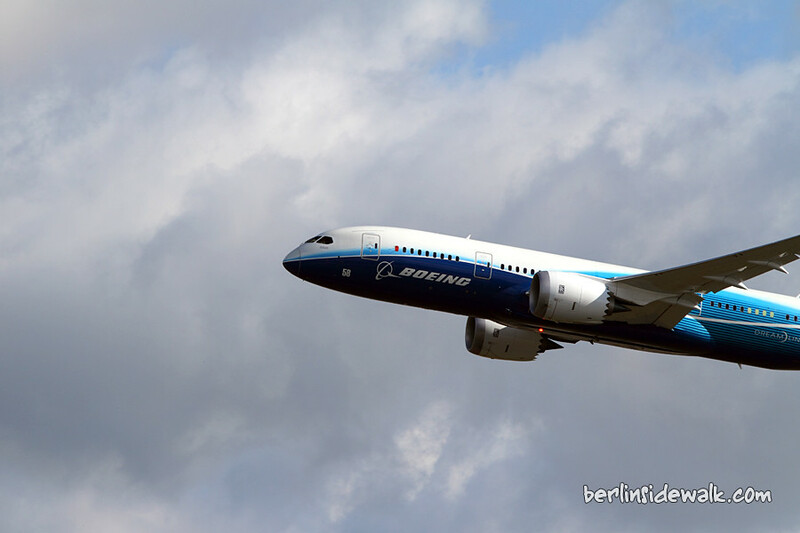 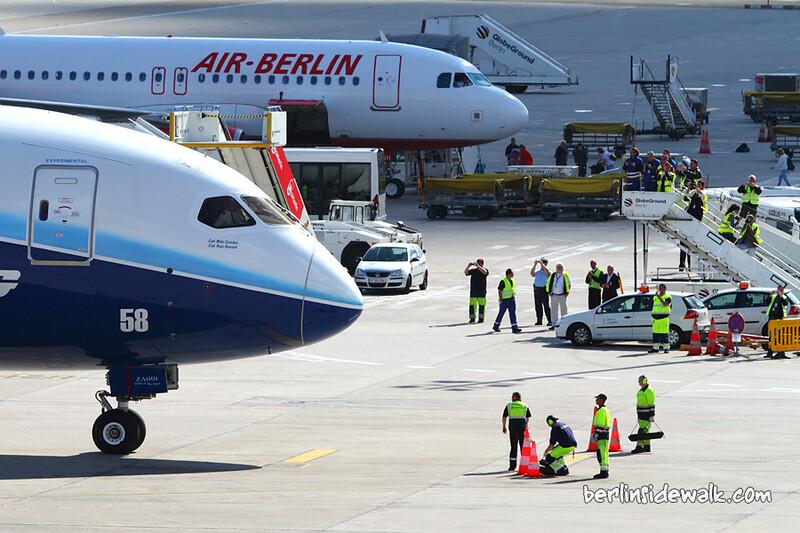 About 1000 people followed the landing of the new Boeing 787 Dreamliner at Berlin Tegel Airport today at 9:11 am. 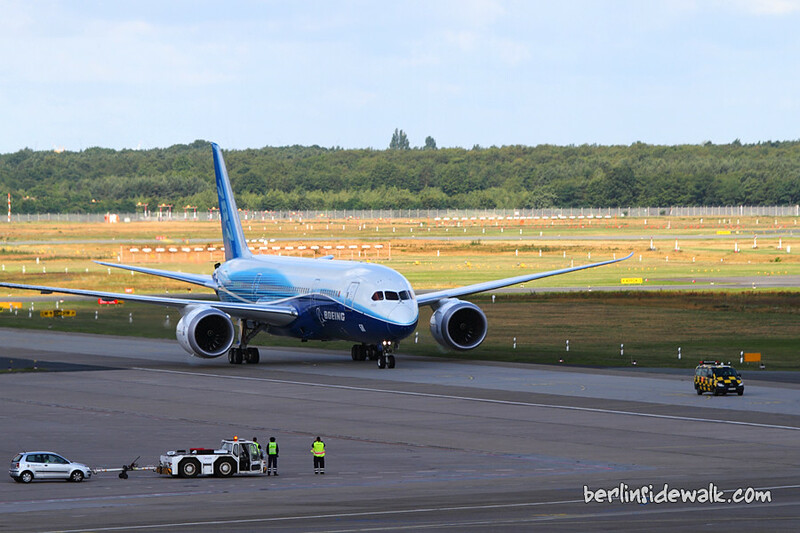 The visitor viewing area in the airport building was open to the public and provided an excellent view of the new Airplane. 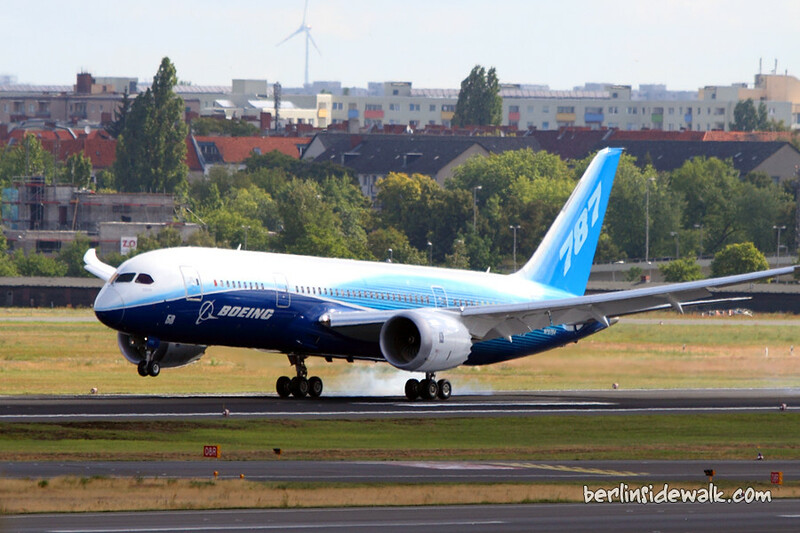 The Boeing test airplane is referred to as ZA001 and is the first 787 ever built. 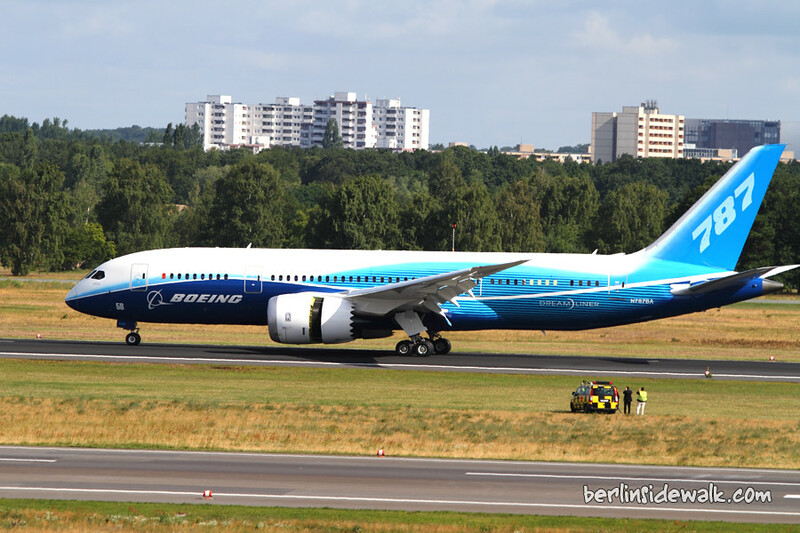 The 787-8 Dreamliner will carry 210 – 250 passengers on routes of 7,650 to 8,200 nautical miles (14,200 to 15,200 kilometers), while the 787-9 Dreamliner will carry 250 – 290 passengers on routes of 8,000 to 8,500 nautical miles (14,800 to 15,750 kilometers). 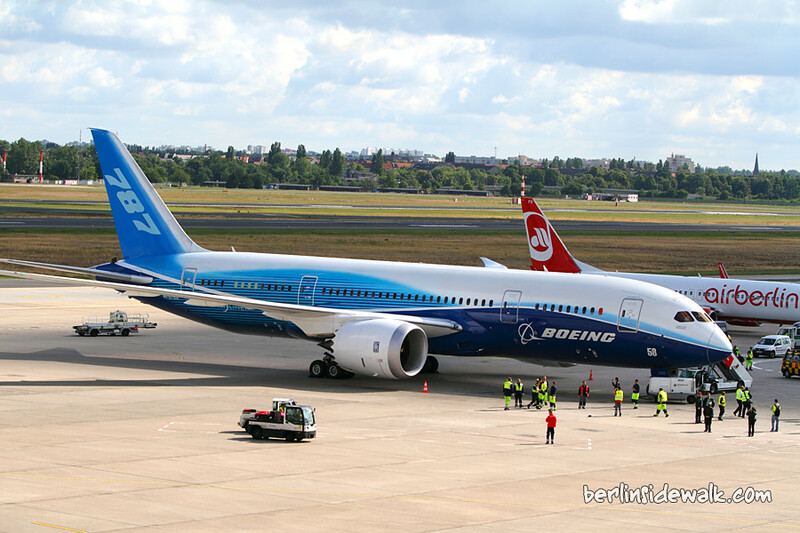 airberlin will be the first customer in Germany to receive a Boeing 787 Dreamliner for their fleet.